I heard this question way too often: What works against wrinkles you already have? My current answer is retinoic acid and its derivates retinol and pro-retinols. Every other ingredient you find in common beauty products is not able to perform nearly as potent against implications of photoaging and acne as retinoids do: They are able to stimulate the production of Hyaluronic Acid and skin’s structural protein collagen. As we get old the production of both exhausts and only retinoic acid both stimulates their production again and stops the depletion (read here and here). Retinoids are way more antioxidant than Vit E (see here and here) and what I like most about retinoic acid is the supreme effectiveness of treating acne (see here). 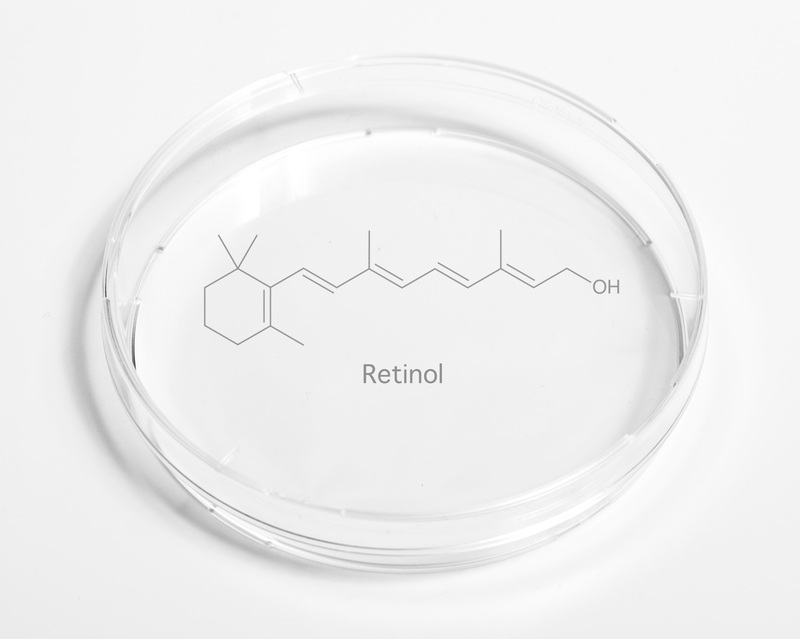 Prescription-free retinol, the alcohol form of retinoic acid (and pro-retinols like retinyl acetate, retinyl palmitate, and retinyl linoleate) were said to be less effective than retinoic acid but newest developments go in the direction of encapsulation of retinol in some kind of microsphere to save it from oxidation but benefit from its low skin-irritant properties (read 1 2 3). -Start off slowly. Apply your product only once in 3-4 days or else in the acclimatization phase your skin peels off, itches and turns red. -Retinoids never in combination with AHA/BHA since they make your retinoid less effective. Preferably use your chemical peeling a day before and not on the same day with retinoids. -Avoid when pregnant or breastfeeding since they are teratogen, and therefore can cause birth defects. There are studies with rats which have shown increases in fetal skull deformations. -Please stay out of the sun and if you are not already using one (which I sincerely hope you do) get at least a high quality SPF 30 sunscreen for everyday. Retinoids act less effective with exposure to oxygen and light (read here).